I found info for what is rumored to be an exclusive 6" General Grievous and due to its larger size, details and accessories, if falls into that magical $29.99 price point. Originally (months ago) I had heard it was going to Amazon but info turned up yesterday that Target was getting get him. 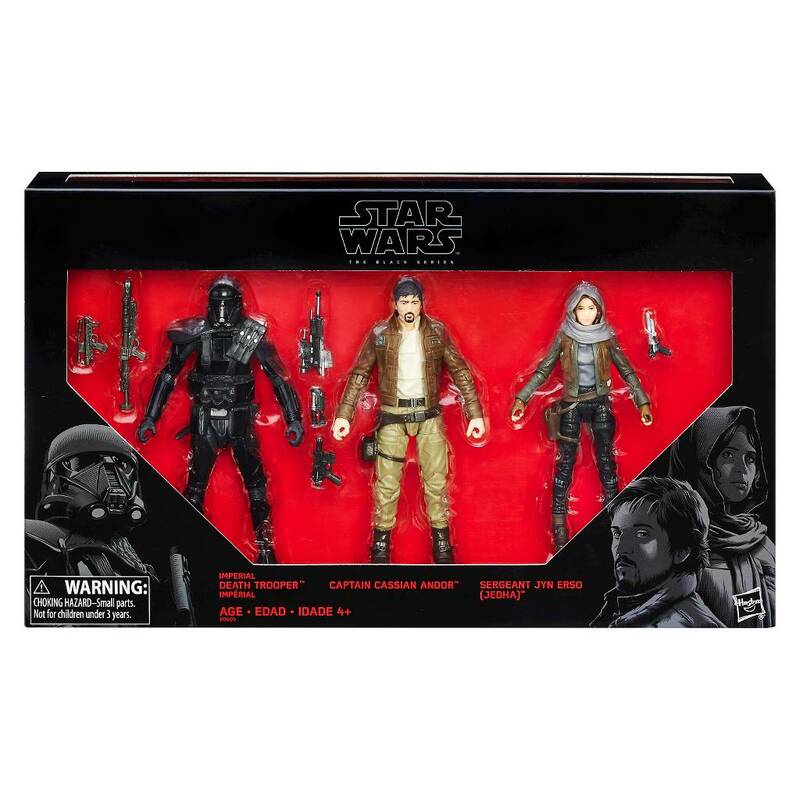 Now, it's possible that he's not exclusive at all but part of a line of general release deluxe figures. We'll have to see how it pans out I guess. It's not due for about 6 months so who knows what the retail landscape will look like then. Found these new droidfactory astromechs online this morning. Look to be part of a Clone Wars themed droidfactory set. No further details as of yet. Much like that scaled down Millennium Falcon from last year for TFA, Hasbro is releasing a TIE Striker and an X-wing in this budget line of vehicles. Again, most/all of the functionality of these ships are stripped out and the vehicles are smaller but, for kids that may want something to thrash around and not be concerned about losing pilots and pieces, they are a nice alternative. 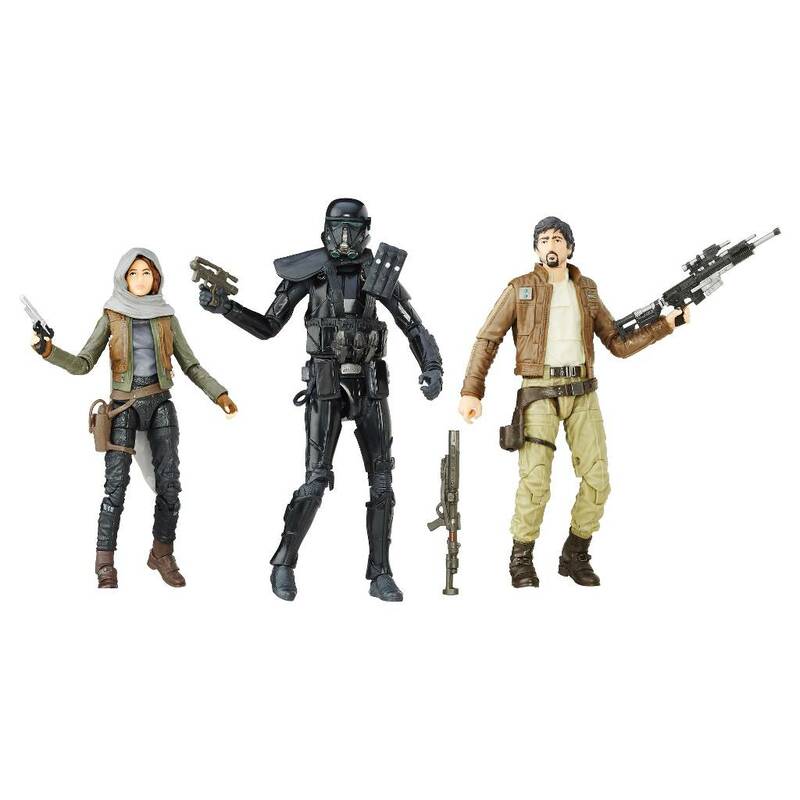 Bring the action of the highly anticipated Rogue One: A Star Wars Story film to life with THE BLACK SERIES Jyn Erso Pack! A highly skilled soldier in the Rebel Alliance, Jyn Erso is an impetuous, defiant warrior eager to bring the battle to the Empire. This impressive 6-inch scale figure features extensive articulation and realistic character design. Look for this to be available through HasbroToyShop after the convention as well. Six awesome new 3 3/4-inch scale action figures, with five characters making their toy debut! Figures include cool accessories and have the articulation you've come to love from The Vintage Collection and The Black Series. Exclusive boxed set features a brand-new never-before-seen display box!